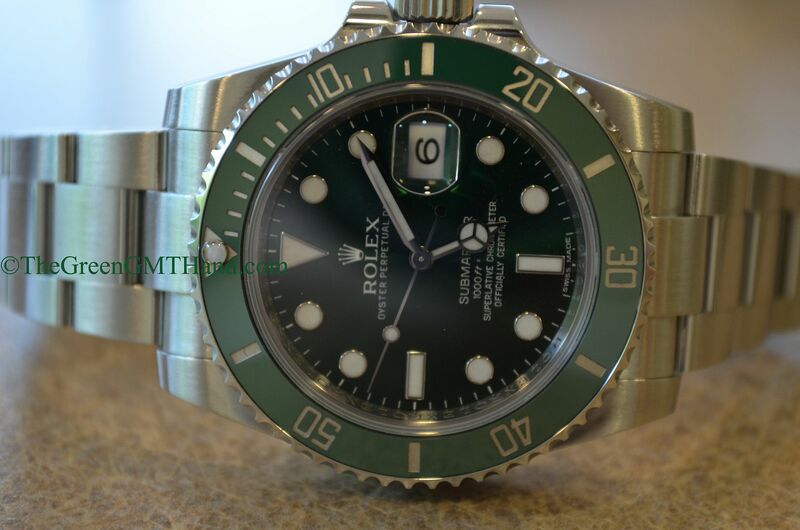 This beautiful green bezel green dial Rolex 116610LV/116610V ceramic Submariner is the replacement to the discontinued anniversary LV Submariner 16610LV/16610V. 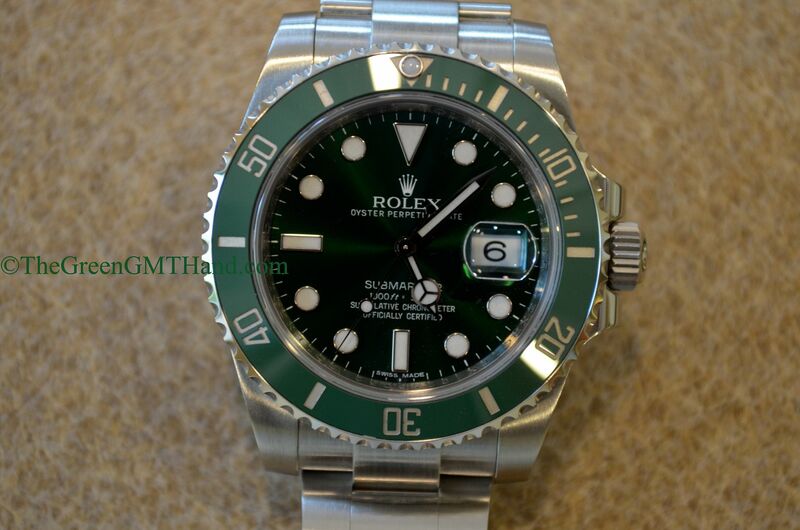 The green ceramic bezel is virtually scratch proof, and the markings are platinum blasted at high temperatures onto the ceramic insert for a fade free finish that will not be affected by the elements over time. 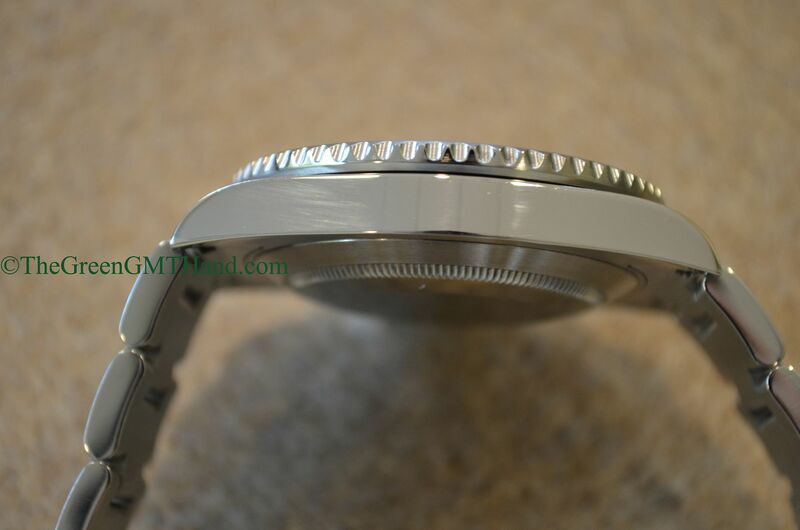 The movement is the same calibre 3135 as in the 16610LV anniversary Submariner this model replaced, but Rolex has added the new blue parachrom hairspring. 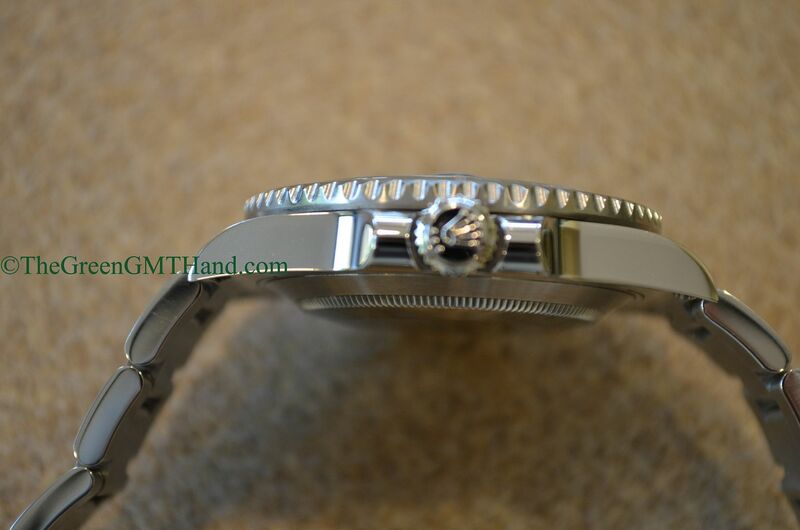 The bracelet is arguably the most comfortable and functional in the business, with a sliding adjustable glidelock REF 97200 bracelet. 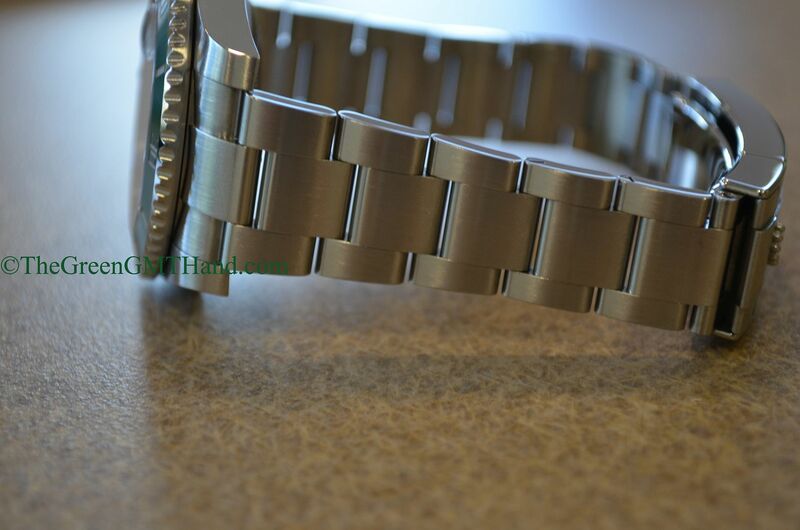 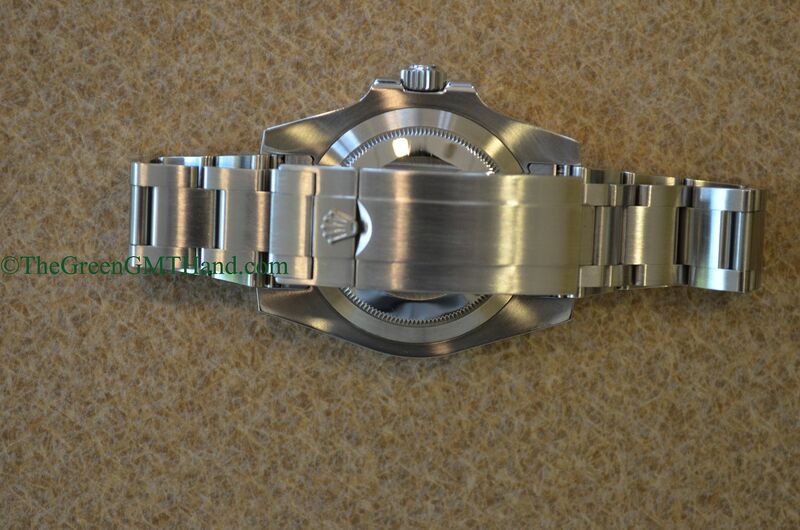 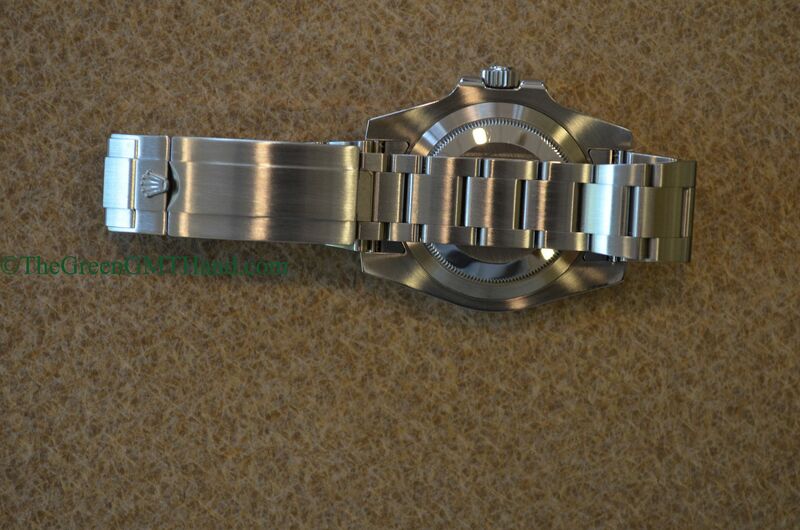 Unlike the 16610 and 16610LV, the steel middle links are now solid steel as opposed to hollow. 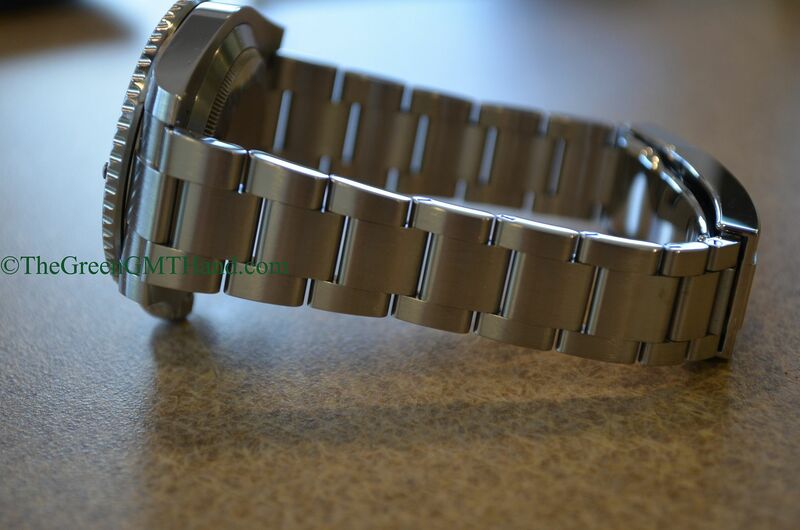 This change creates a much heavier watch on the wrist, one with great wrist presence. 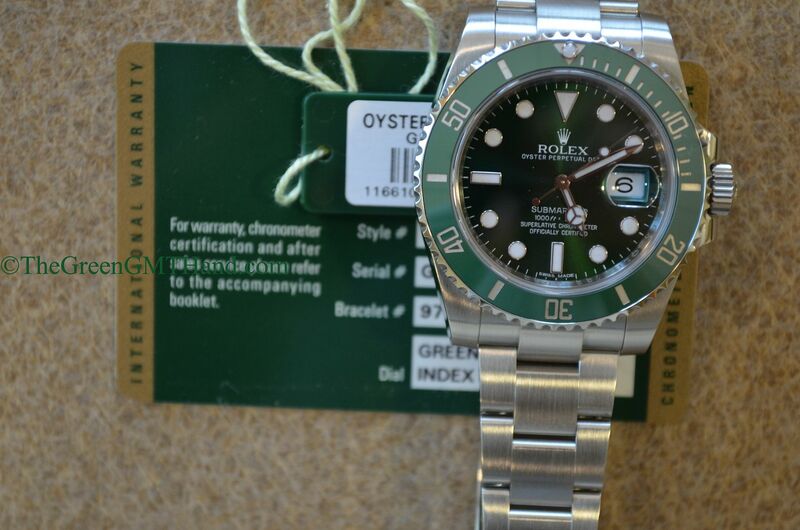 Lastly, the green dial is one of the most beautiful Rolex dials with a mesmerizing green that appears to change colors with the lighting. 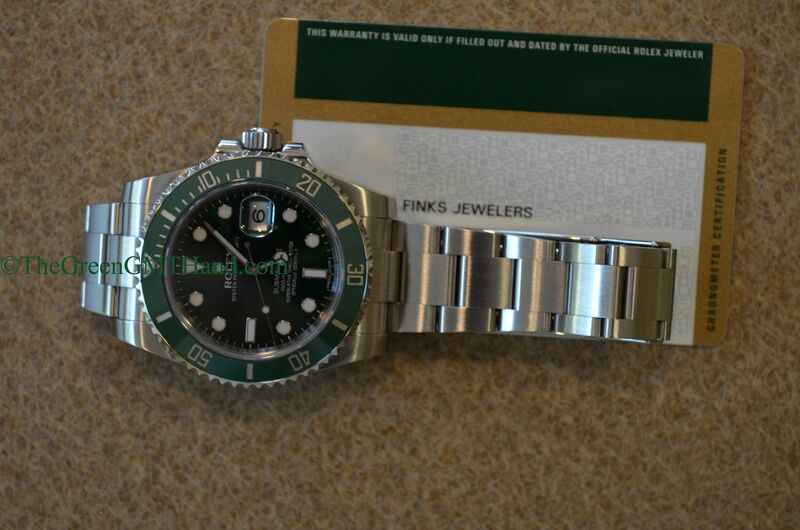 This watch is affectionately referred to as “The Hulk” within the Rolex collector’s community for its generous use of green, just like that Marvel character. 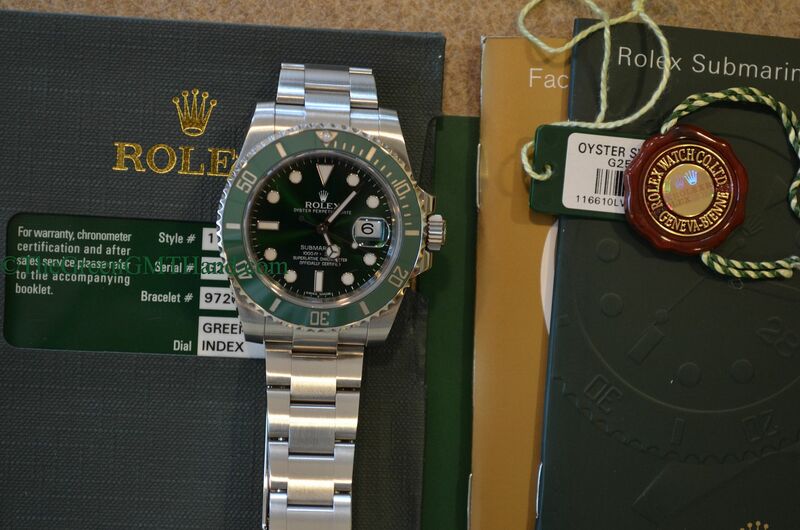 We SOLD and delivered this 116610LV ceramic Submariner to our client complete with all original Rolex boxes, manuals, both hang tags, and warranty card.